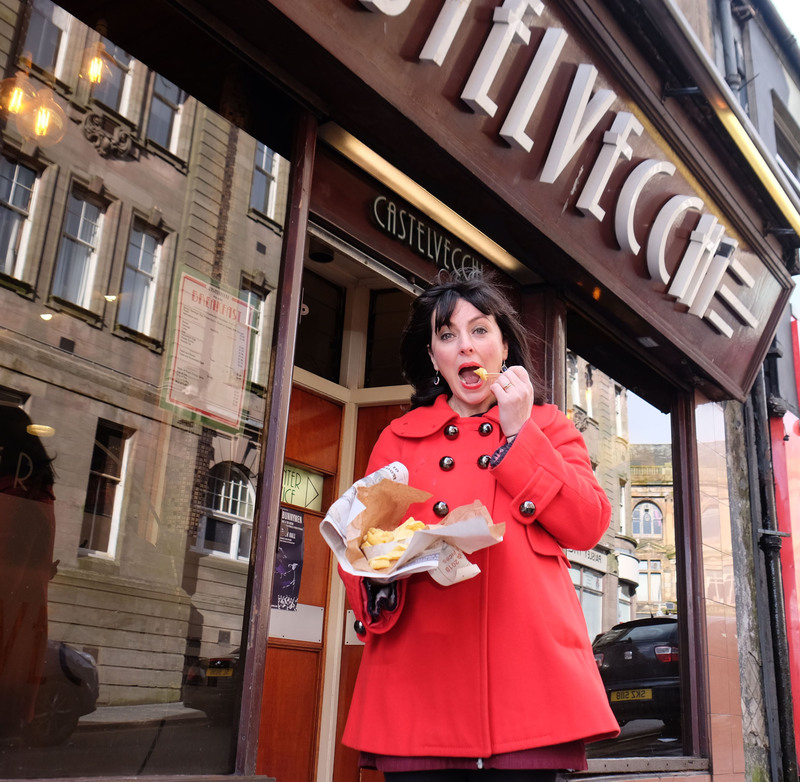 This will include the many Italian chippys and cafes in Renfrewshire; some of the area’s famous food manufacturers like Robertson’s jams and Brown and Polson; the differences in what people eat today compared to years gone by and the need for foodbanks in recent times. Clare is also the artistic director of Grinagog Theatre Company and she explains: “Many of my previous shows have been about food as I’ve discovered food is a wonderful mechanism for people to begin to talk about their wider life experiences and social histories. “One of the main focuses of the project is community engagement. I want to work with a diverse range of groups across Renfrewshire to find out about their rituals when they are making and eating food; what they like to eat when they have something to celebrate and what recipes and tradition have been passed from generation to generation.” Clare plans to interview people of all ages from school pupils, community and family groups, people who meet up to discuss their area’s heritage to ethnic minority groups, food-growing initiatives and foodbanks. A key partner in this project is Imaginate, an organisation that promotes, develops and celebrates theatre and dance for young people in Scotland. There are also plans for workshops and masterclasses in the performing arts. All Clare’s research work will culminate in the final show performed by professional actors, at Paisley Arts Centre and there are also plans to take the show to Renfrew Town Hall, Johnstone Town Hall and the Tweedie Hall, in Linwood. Clare adds: “I am excited about letting the process of this year guide and shape the content of the final piece. “The performance will be a celebration of the stories we hear and I’d like to explore a multi-sensory approach during the show to include real baking, or cooking on stage, creating real smells and the audience being able to taste the food.” Joyce McKellar, chief executive of Renfrewshire Leisure, which runs arts and culture services said: “This sounds like a really exciting and innovative project that will delve into the social history and culture of the local area. “I’m sure lots of people will want to share their experiences with food and the part it plays in their lives, whether it has been making food products, cooking or enjoying eating it.” Renfrewshire Leisure was supported by the National Lottery through Creative Scotland’s Open Project Fund. This enables Paisley Arts Centre to develop and deliver an Artist in Residence programme that supports an established artist to develop new work for children over five and their families, providing opportunities for local children and young people to participate in the arts. https://i2.wp.com/www.paisley.org.uk/wp-content/uploads/2018/02/chips-1.jpg?fit=3543%2C3462&ssl=1 3462 3543 Brian McGuire https://www.paisley.org.uk/wp-content/uploads/2015/09/paisley-logo-trans.png Brian McGuire2018-02-19 16:38:492018-02-19 16:38:49New Artist in Residence has plenty food for thought!